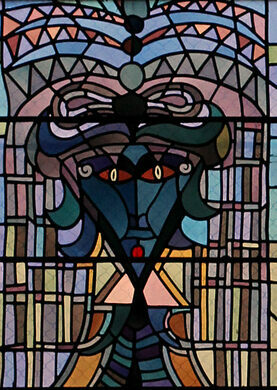 A neighborhood church's unusual abstract stained glass was the final project of avant-garde artist Jean Cocteau. 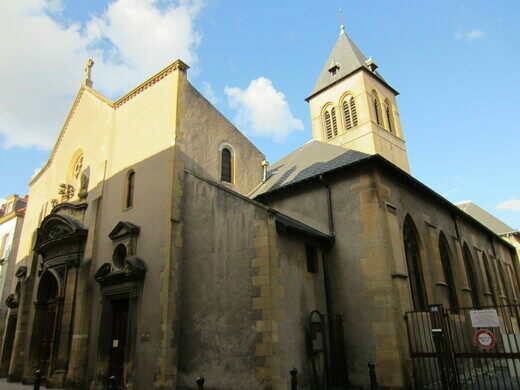 Though the Église Saint-Maximin dates back to the 12th century, it is mostly unremarkable as far as medieval European churches go. 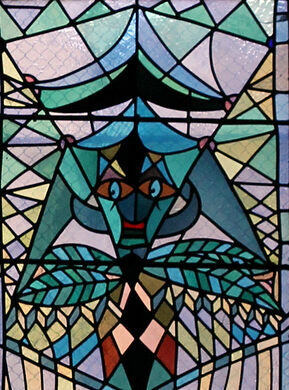 That is other than its remarkable stained glass windows, which were designed by the avant-garde artist Jean Cocteau. Fighting the British and making game shows for over 150 years. The historic Masonic Lodge in which the first-ever female Mason was initiated. 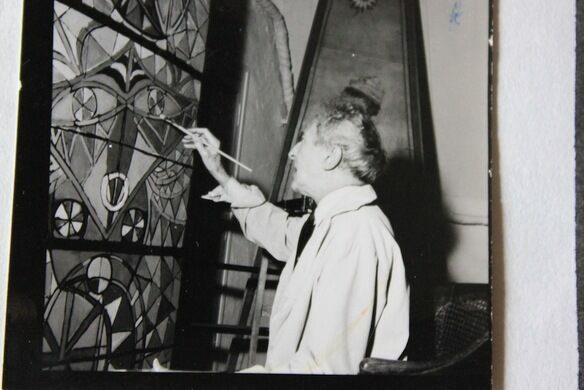 In 1960, Cocteau was commissioned to create the 24 stained glass windows for the Église Saint-Maximin. 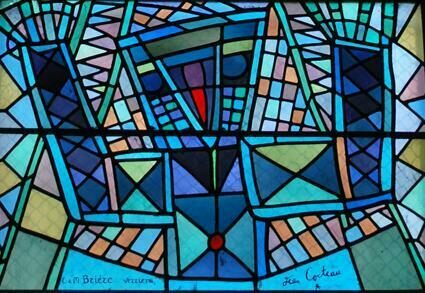 This was not the artist, writer, poet, and filmmaker’s first creative endeavor within a church (he had painted murals from the life of Saint Peter on a chapel in Villefranche-sur-Mer) but it was his first time working with stained glass. It would be his last time as well, as this would be the final project at the end of his life. 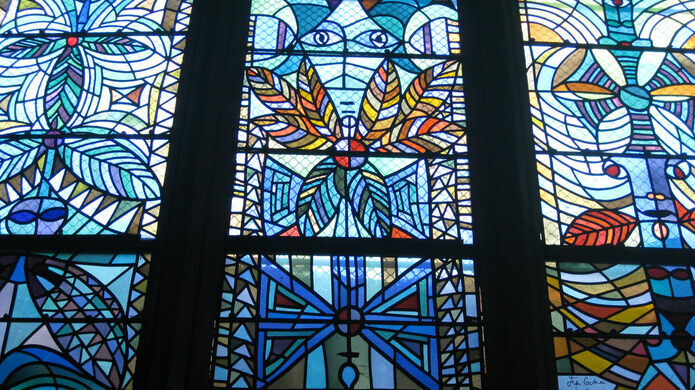 Cocteau designed the windows around the theme of immortality, though the message of each image is not immediately clear. 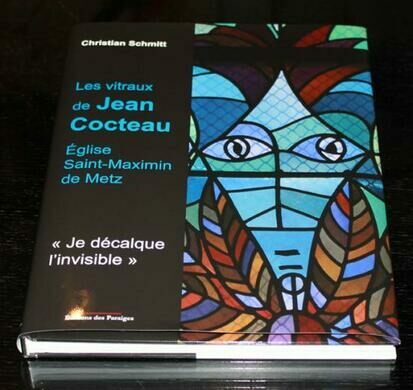 The artwork is abstract, and its cubism and blue hues have been compared to Chagall and Picasso, both of whom were contemporaries of Cocteau. 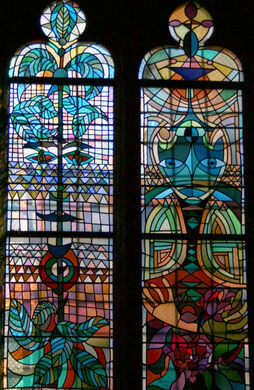 The human figures are jagged and primitive like cave paintings, while the plants and vines swirl organically through the stained glass scenes. A figure that Cocteau compared to a “shaman” reaches towards the heavens. 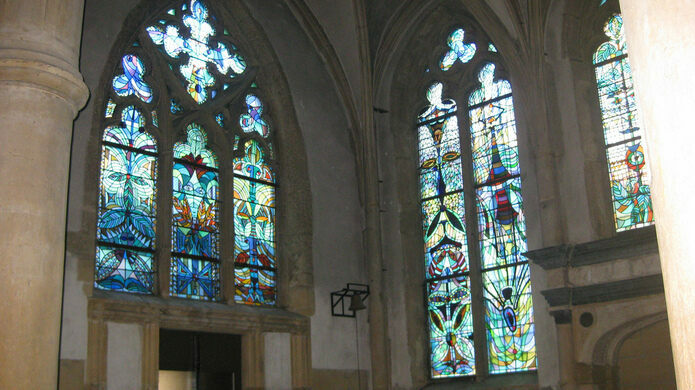 The windows initially drew controversy, as they were significantly more experimental than the stained glass in most Catholic churches, which usually feature Baroque depictions of Biblical events. 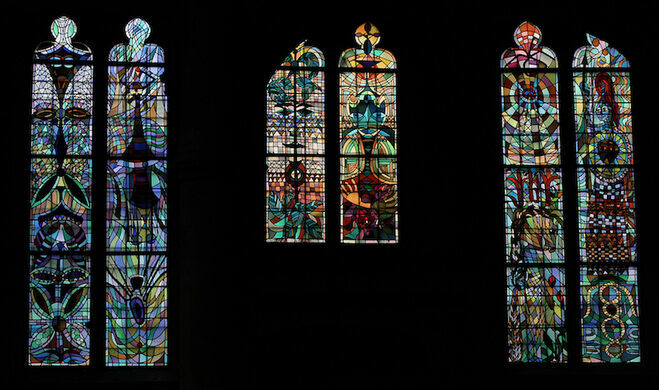 None of the images on the windows of Église Saint-Maximin are even overtly Christian, but the project came just after Cocteau had reverted to Catholicism again in the last years of his life. His spirituality was very open though, and he was fascinated by the role of myth in religion. 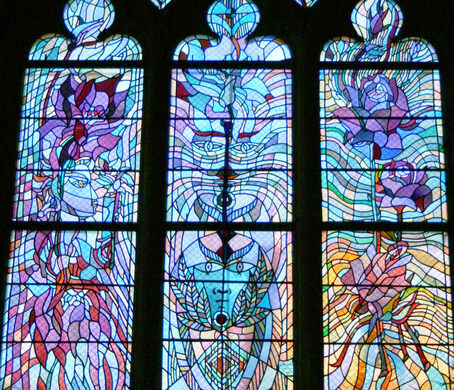 He imagined the church space as a door through which to transcend from the profane and everyday into divine beauty, and designed his stained glass windows to facilitate such an experience. This building’s ghostly exterior reflects its former lives as a prison, school, and funeral home. Dancing skeletal figures pay homage to a medieval mural destroyed during World War II. 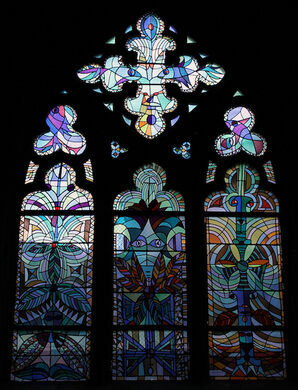 The 16th-century church has the only stained glass windows that survived the Scottish Reformation intact. 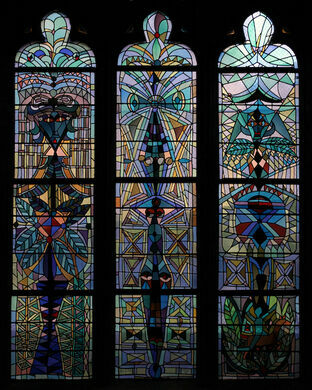 Beautiful stained glass depictions of the history of human flight fill this surprising chapel.